From the mountains to downtown breweries, there's something for everyone. Unlike last winter, Mother Nature has delivered plenty of snow to our region's ski resorts. Thankfully, you have several options less than an hour or two from Spokane, meaning you can be back in time for dinner after a day on the slopes. On the Washington side, there's Mt. Spokane Ski & Snowboard Park just north of the city. Further north, you'll find 49 Degrees North just beyond Chewelah. Crossing over to Idaho, there's plenty of snow to be found in the hills above Sandpoint at Schweitzer Mountain Resort, while about an hour from Coeur d'Alene there's Silver Mountain Resort, which in addition to providing steep faces and ample powder also features an indoor water park at its base camp down in Kellogg. Adjacent to Spokane, two well-known casino sites can be found for your gambling and entertainment pleasure. Northern Quest Resort & Casino, which is run by the Kalispel Tribe, is located in Airway Heights, just west of Spokane, and regularly features headline concert acts and entertainers. Southeast of Spokane, Coeur d'Alene Tribe's Coeur d'Alene Casino in Worley, Idaho, offers slots and gaming tables, and of course clubs and bars. Both locations fit the bill for an easily accessible getaway. You can find some of the most up-to-date retail storefronts just south of Riverfront Park at River Park Square. Featuring shopping attractions such as Nordstrom, the Gap and the Apple Store, River Park Square offers a plethora of options to satisfy any shopper. Elsewhere downtown, don't miss the independent bookstore Auntie's or Boo Radley's, where the quirkiest, strangest and most uniquely Spokane items reside. During Restaurant Week, you're encouraged to try one of the many Inland Northwest beers served up by participating eateries. 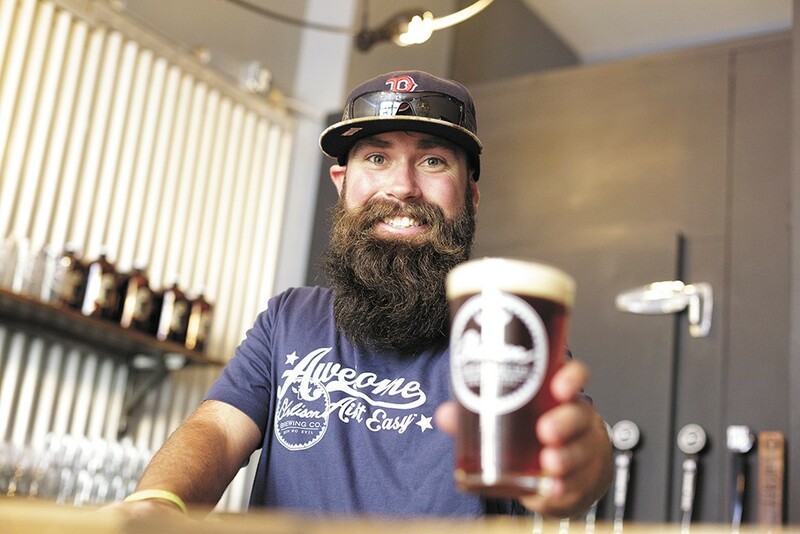 If you want to get more into the scene, check out the Inland Northwest Ale Trail, a self-guided program that leads you through breweries in the Spokane area and North Idaho, collecting stamps along the way. If you get all the stamps, you're rewarded with a mini beer growler. With a designated driver, you can cover the entire region. If you want to go on foot, there are four breweries in the downtown Spokane area alone. A subset of Spokane's centerpiece Riverfront Park, the Ice Palace skating rink provides the thrill of outdoor winter activities, but without the drive. Offering rentals, skating and curling lessons and great for groups, the Ice Palace is a perfect way to spend the evening under the famous 1974 World's Fair structure. Spokane is home to one of the most powerful and dedicated student sections in NCAA basketball. On game day, you can hear the roar of the crowd from outside Gonzaga University's basketball facility, the McCarthey Athletic Center, aka the Kennel. Once the ball is tossed up, the Bulldogs put on a college basketball experience which jump-starts every crowd that steps foot in the arena. Zags men's games are already sold out, but it's still possible to get into the Kennel to see the always exciting Gonzaga women's team.